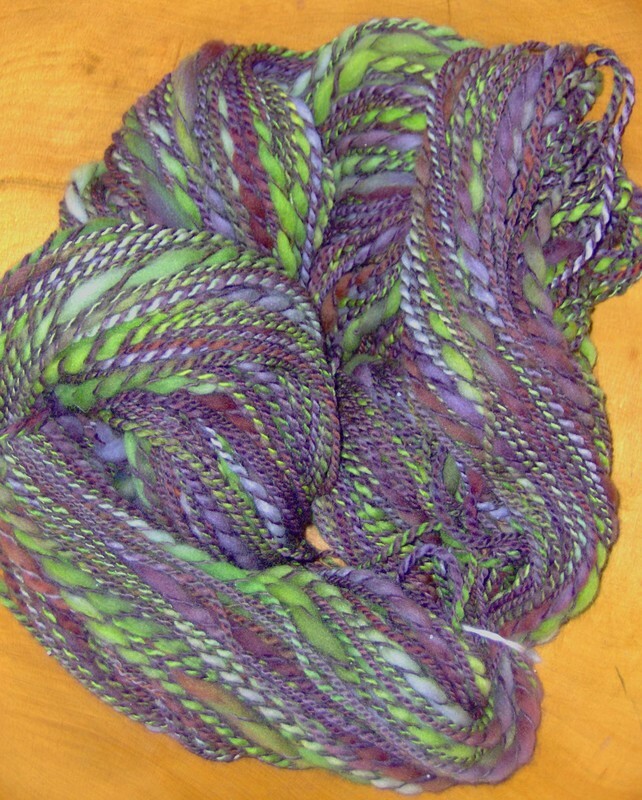 My approach to spinning and knitting is informed by both my fine arts background and my science background. I focus on texture and structure. 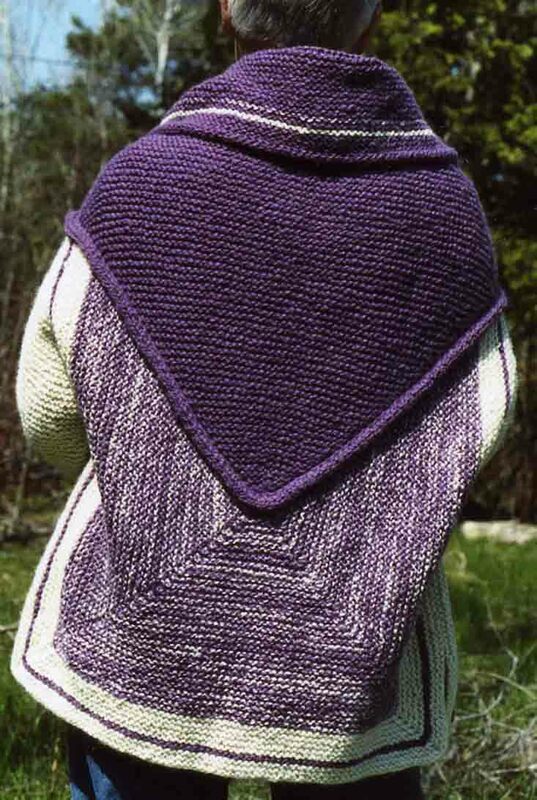 I am especially drawn to slip stitches, I-cord, and garter stitch. Oh, and Michigan inspires me. 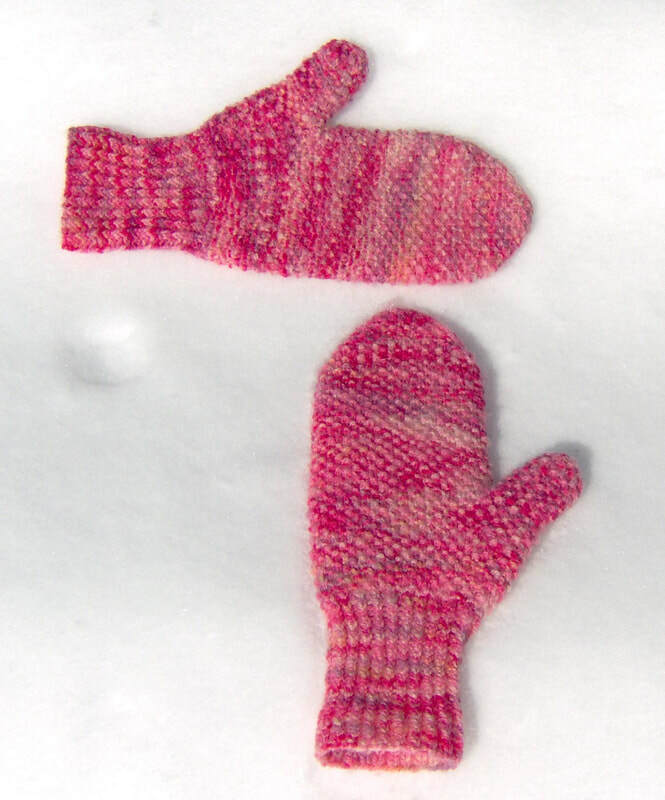 A few years ago, I designed a pair of mittens using a slip-stitch pattern. I knitted them out of a yarn that I spun from a sheep named Lizzy. Lizzy was a mixed-breed sheep, mostly Ile de France. The yarn was not soft but was incredibly elastic and durable. 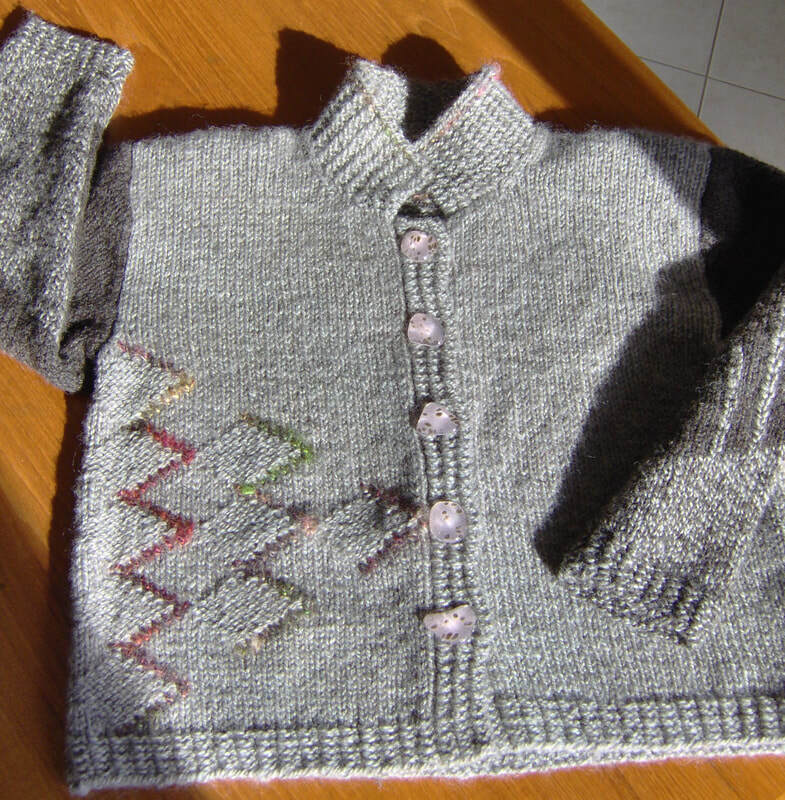 I later refined the pattern and knitted it again, using some Montadale wool, also elastic and durable. The pattern from those “Mittens from the Mitten State” was published in the Winter 2018 issue of Spin Off magazine. This picture is of the Lizzy prototype. I turned 60 years old in 2016. To celebrate that milestone, I set out to design 12 sock patterns each with a stitch pattern that is a divisor of 60. Here are the socks with the pattern of 60 repeats of 1. The pattern is free and is published on my blog, Wednesday, July 6, 2016. I turned 60 years old in 2016. To celebrate that milestone, I set out to design 12 sock patterns each with a stitch pattern that is a divisor of 60. Here are the socks with the pattern of 5 repeats of 12. 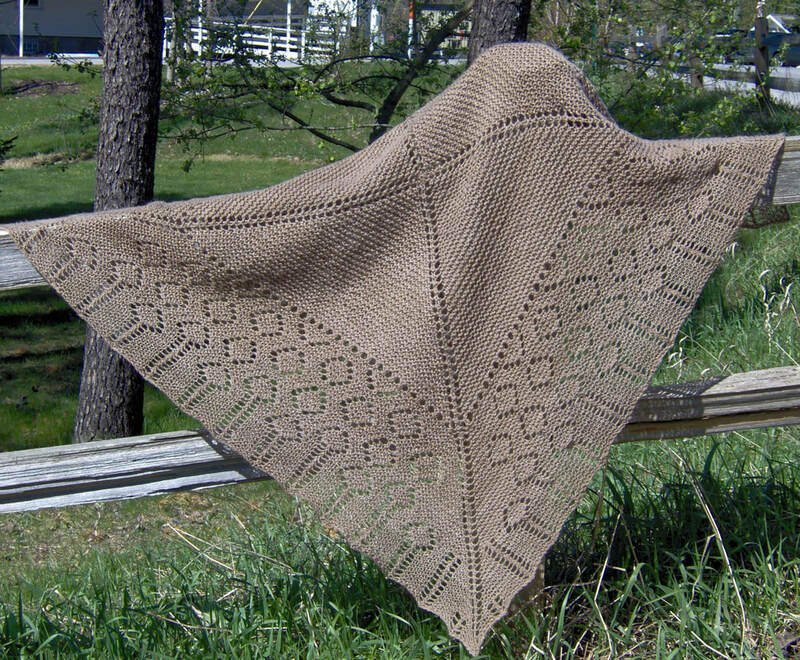 The pattern is free and is published on my blog, Friday, March 11, 2016. I turned 60 years old in 2016. 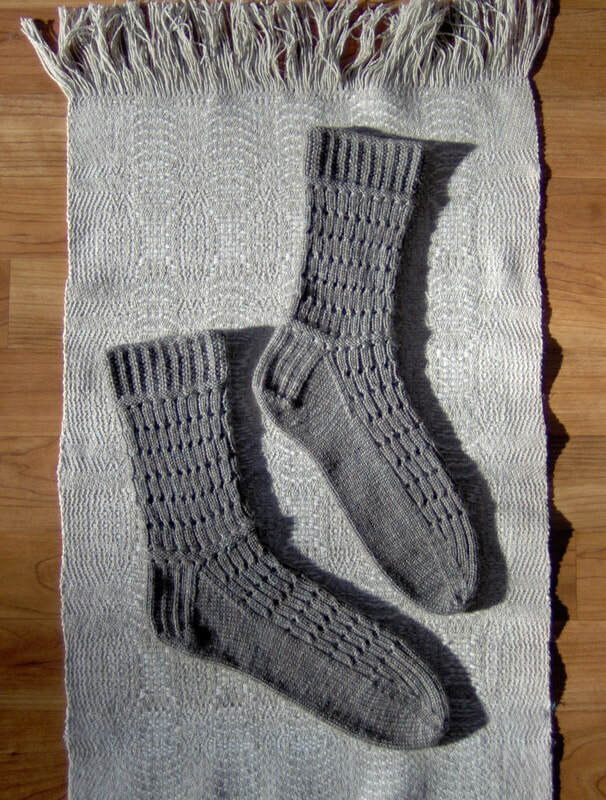 To celebrate that milestone, I set out to design 12 sock patterns each with a stitch pattern that is a divisor of 60. 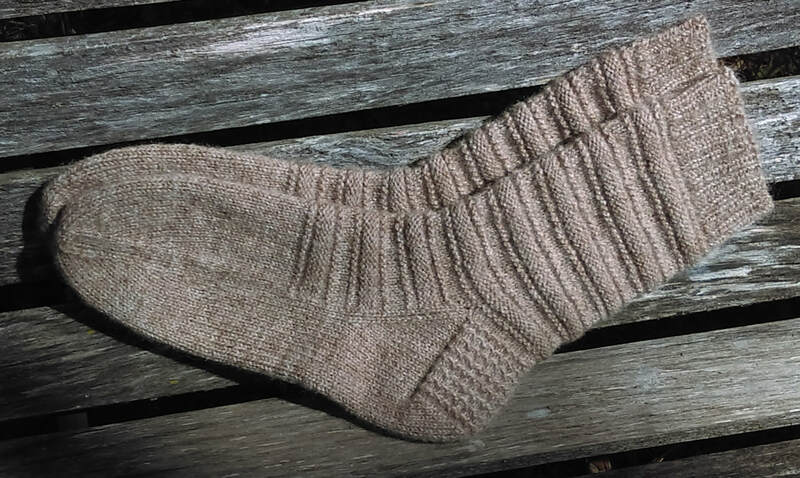 Here are the socks with a pattern of 20 repeats of 3. The pattern is free and is published on my blog, January 12, 2017. 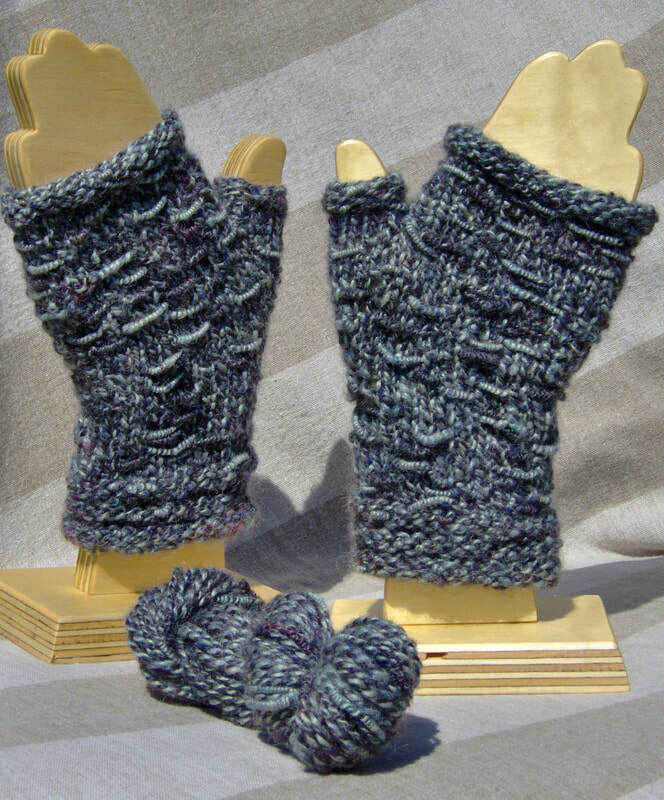 I designed these fingerless mitts to show off a hand spun yarn that is one ply of silk and one ply of Cormo wool. The yarn showcases the best of these two fibers. The mitts are delicious to wear. The pattern for these mitts was published in the Spring 2014 issue of PLY Magazine. This shawl is knitted from the center out, using three different thicknesses of yarns that I spun from a lovely Merino wool fleece from a sheep named “Babes”. It is not a large shawl, but it does cover the shoulders and is deliciously soft. You can find more details about it on my blog, April 21, 2012. I continue to make Petoskey stone themed items. Here is an afghan I knitted for my sister, Jo. 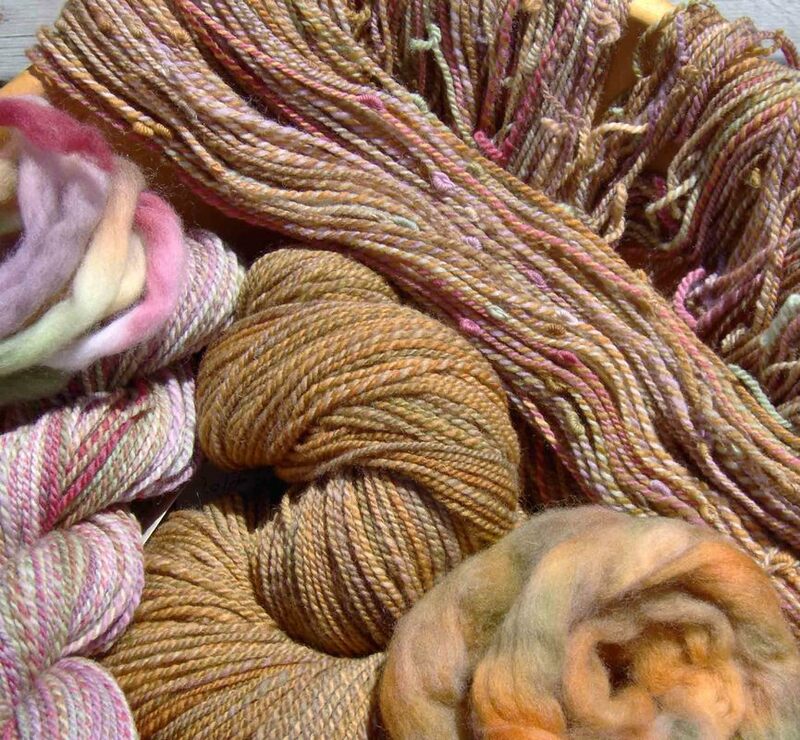 The yarns are all natural colors of Shetland wool, all handspun. The pattern was published in the Winter 2015 issue of Spin Off magazine. I’ve been experimenting with combining wool and mohair locks with rovings and tops to make yarns. Here are some of the results. I’ve used locks of mohair, Teeswater wool, Wensleydale wool, Lincoln wool, and Bluefaced Leicester wool. All fun! 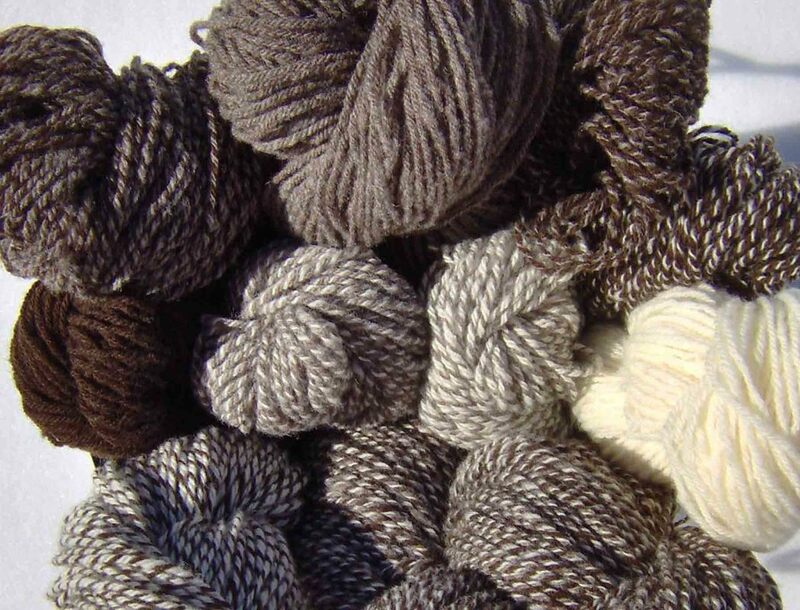 Here are some yarns that I spun from Shetland wool. 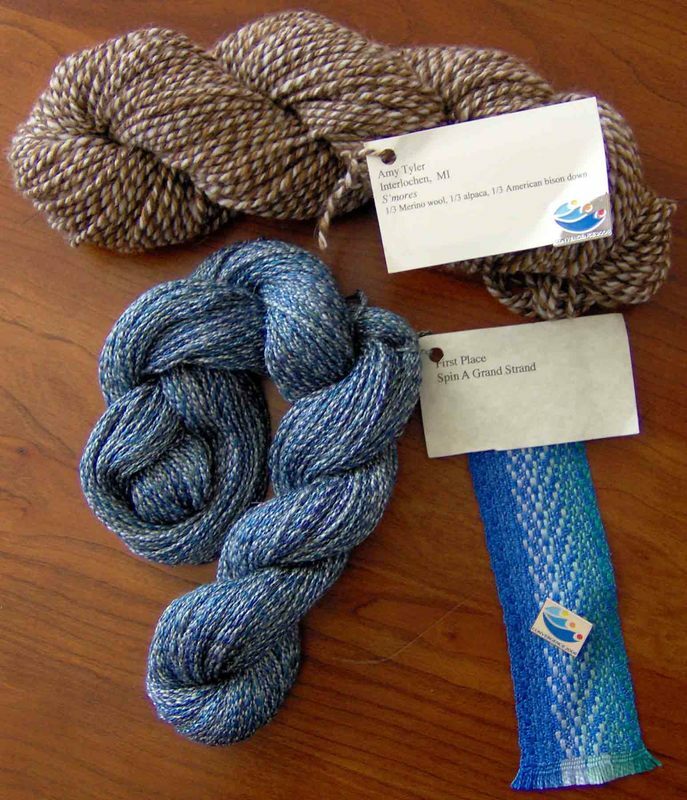 I used these yarns to make some of my Petoskey stone projects. If you have 3 colors of fiber, and you want to make 3-ply yarns, there are 10 possible combinations of colors you can ply. 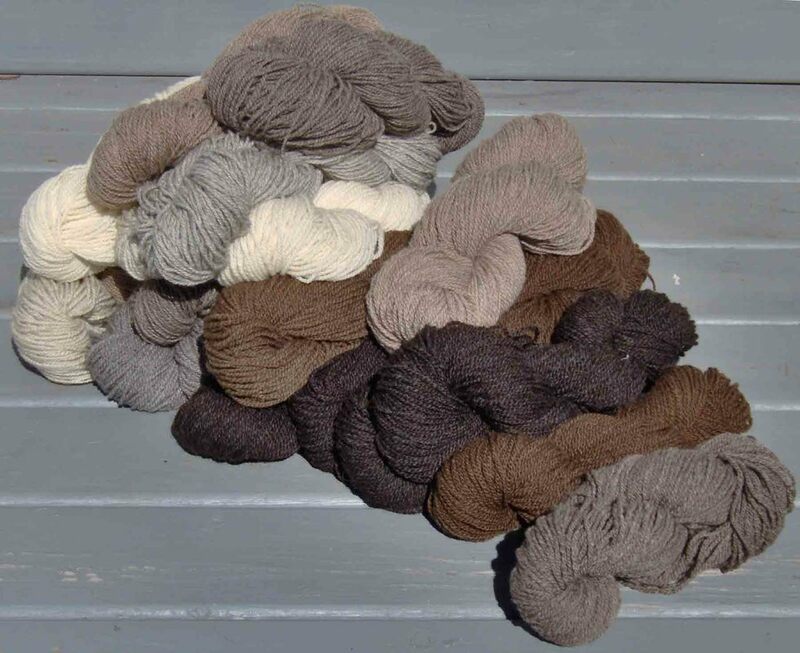 The yarns below were spun from Cormo wool (white) and "Cormo-like" wool (MerinoXCorriedale wool; medium grey and brown). I knitted a shawl from these 10 yarns. And I wrote an article for Spin Off magazine about it (Fall 2011). 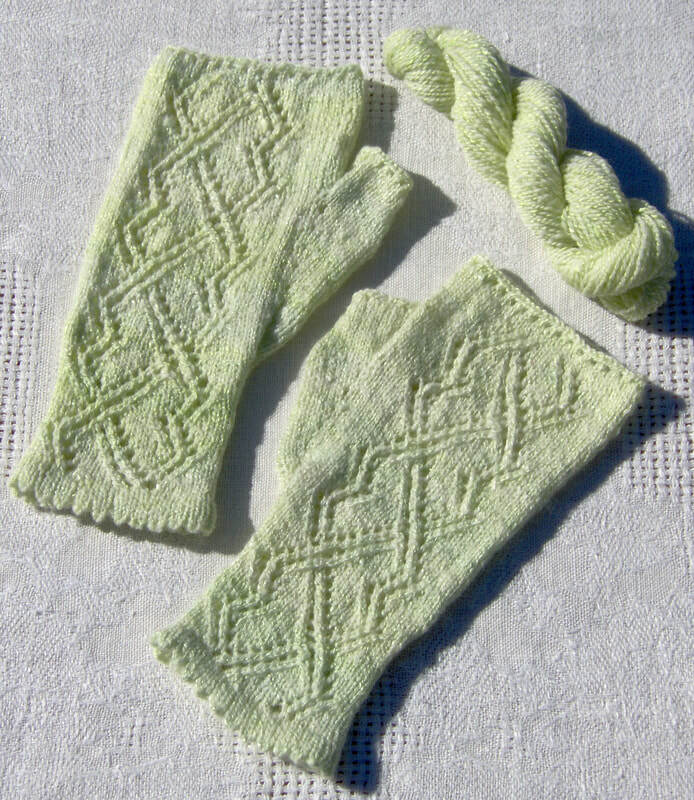 I designed these fingerless mitts to use a handspun yarn that contained “intermittent wraps”. To accentuate the sections of the yarn that were wrapped, I slipped the stitches where the wraps occurred, causing the wraps to hang out in front of the knitted fabric. I wear these mitts while reading in bed during the winter. Very cozy. This sweater-jacket is knitted from yarns I spun from the fleeces of two sheep who reside in Duluth, Minnesota: Lucy and Lacy. The duplicate stitch embellishments made me think of tattoos, thus the name of the piece. My sister, Meg, now owns this jacket. Details of this project can be found on my blog. See January 23, 2011 for its beginning, and March 20, 2011 for its completion. 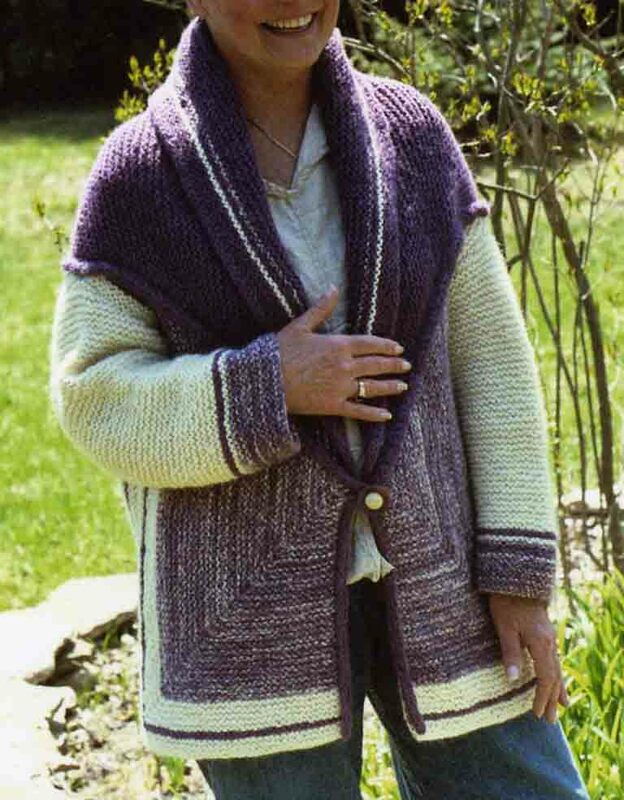 The shawl collar of this jacket was based on the garter stitch triangle of my "dream" shawl. 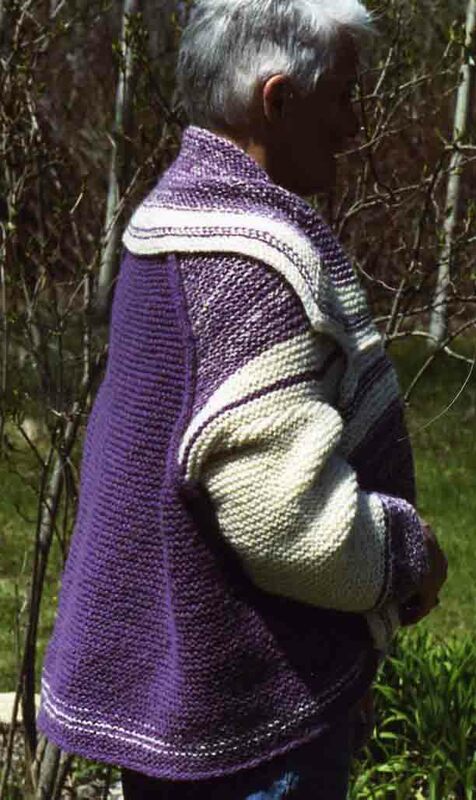 I stayed with the garter stitch and triangle theme to create the rest of the jacket structure. I spun the three yarns for this jacket from Romney (purple) and Romney-like wool (white). I used my "blending at the wheel" technique to create the white/purple yarn. My friend, Sylvia VM is the model. She discovered that this jacket can be worn upside down to equal effect. She now owns this sweater. This is a yarn from two different hand dyed combed tops, one of Merino wool and the other of Rambouillet wool. The slubs and the colors are on the grape-y side. You can find more information about the making of this yarn on my blog, December 7, 2010. I took two different hand dyed combed tops, both of Polwarth wool, and made four different yarns. 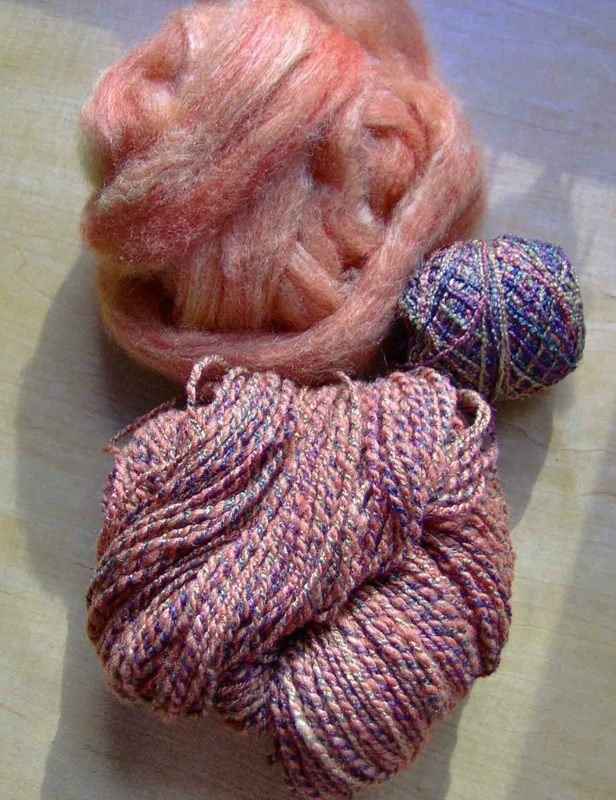 Two yarns are smooth, one yarn has knots (I call them “pill bugs”), and the other has snarls. I knitted a shawl – for me – out of these four yarns. 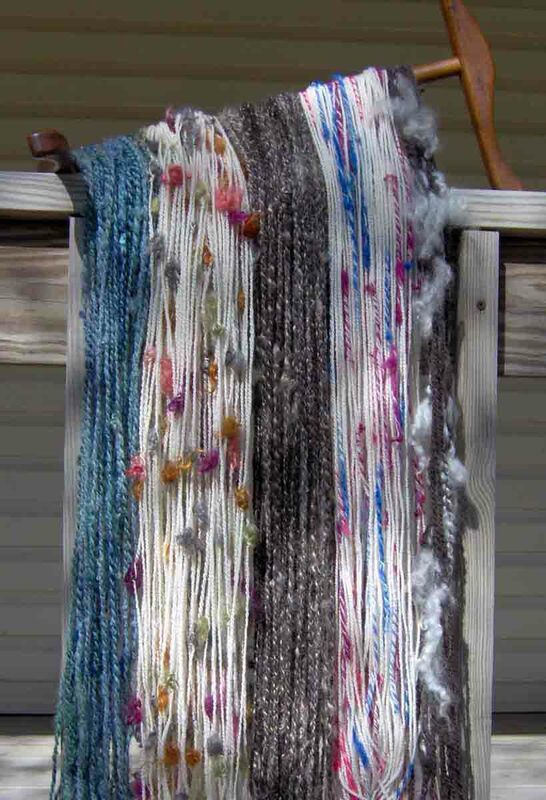 I like to combine commercial (aka, “mill-spun”) yarns with roving. Here you see one example: I re-spun a commercial rayon yarn and plied it with a hand spun singles that is a blend of Corriedale wool and silk. The roving is from Handspun by Stefania. The state stone of Michigan is the petoskey stone (Hexagonaria percarinatae). It derives its name from the Odawa,“Petosegay”, which translates to “Sunbeams of Promise” according to The Complete Guide to Petoskey Stones by B. Mueller and W. H. Wilde. Although petoskey stones can be found outside of Michigan, the finest examples are most plentiful in northwestern lower Michigan. 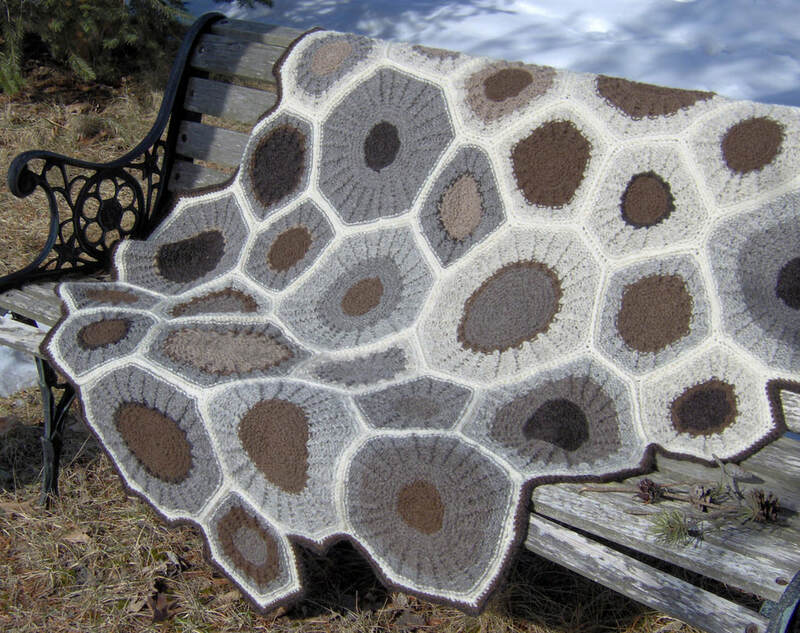 This wall hanging is a knitted representation of the petoskey stone. 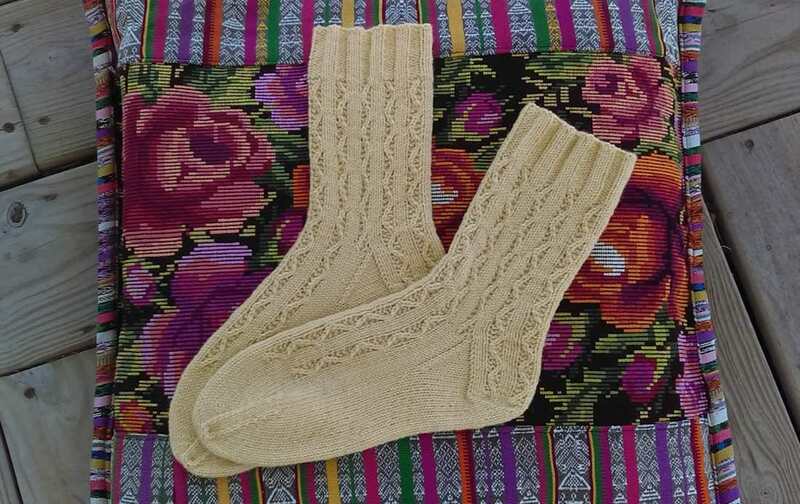 It is made of undyed, natural colors of Shetland wool. The background was wet felted. 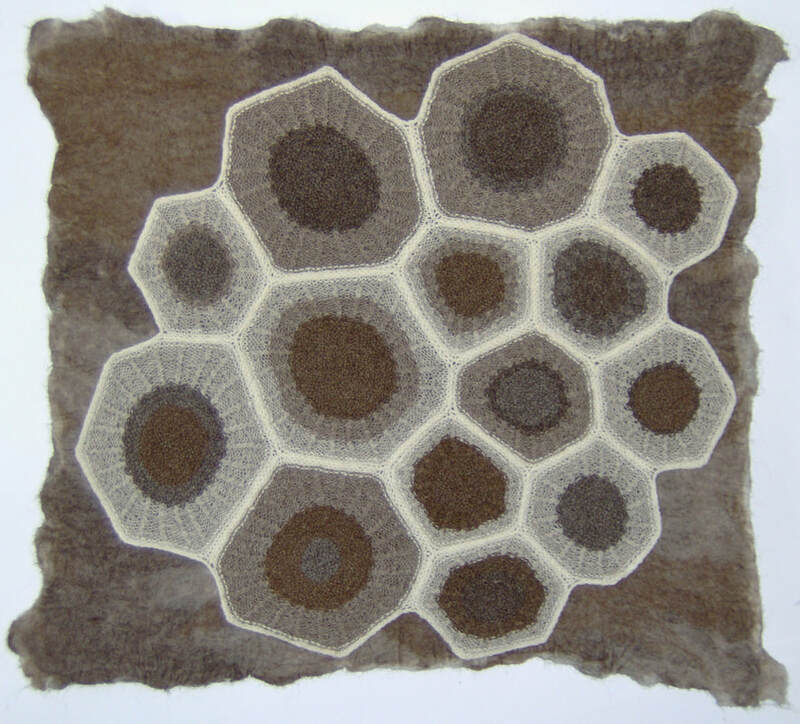 The foreground is composed of hand spun and hand knitted “medallions” that were crocheted together. This is my first of many Petoskey stone inspired projects. 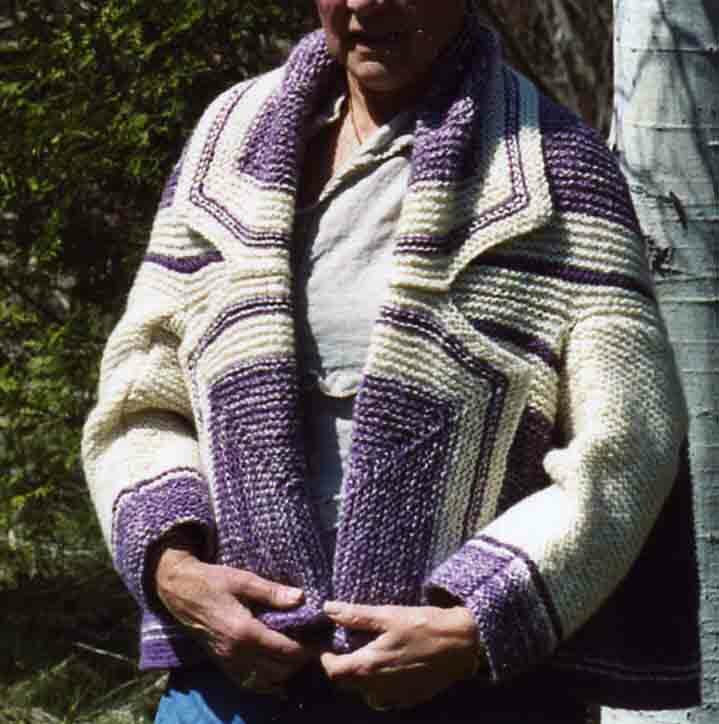 In 1995, the design for this shawl came to me in a dream, nearly in toto. The shawl in the picture is the second version of this shawl that I've knitted. It is an oversized triangular shawl, with I-cord edges and fringe at the lower corner. There is a garter stitch area that covers the shoulders, and a slip stitch diamond below the garter stitch area. My friend, Sylvia V-M, is the model. 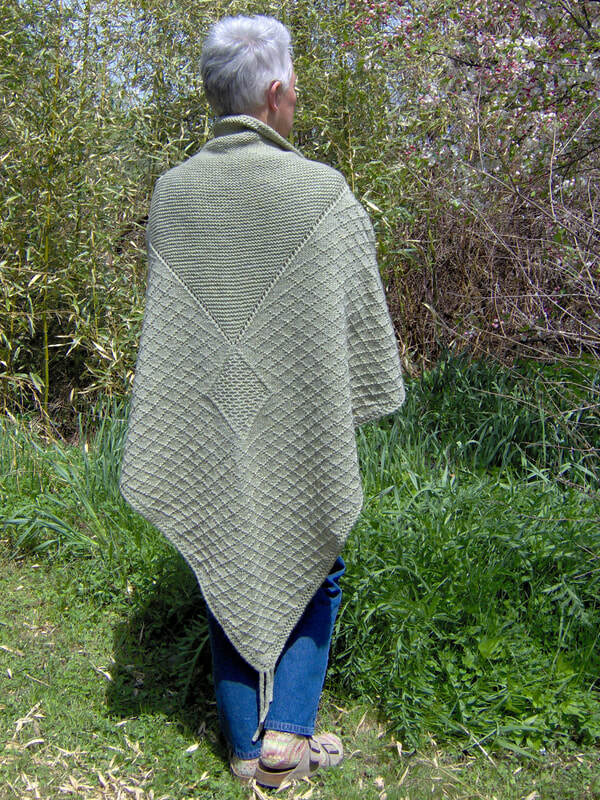 The pattern for this shawl is available on my Ravelry site. I submitted three yarns to the "Spin a Grand Strand" exhibit at Convergence 2006 (the biennial conference that is sponsored by the Handweavers Guild of America). The conference that year was held in Grand Rapids. Two of my yarns received awards: "Terrarium" (on the bottom) is a 4-ply cabled yarn in which 3 of the plies are bombyx silk and one ply is Optim -- a streched out, super soft version of Merino wool. It won First Place. "S'Mores" (on the top) is a 3-ply marl yarn with one ply Merino wool (the marshmallow color), one ply alpaca (the graham cracker color), and one ply American bison down (the chocolate color). It received "Honorable Mention".